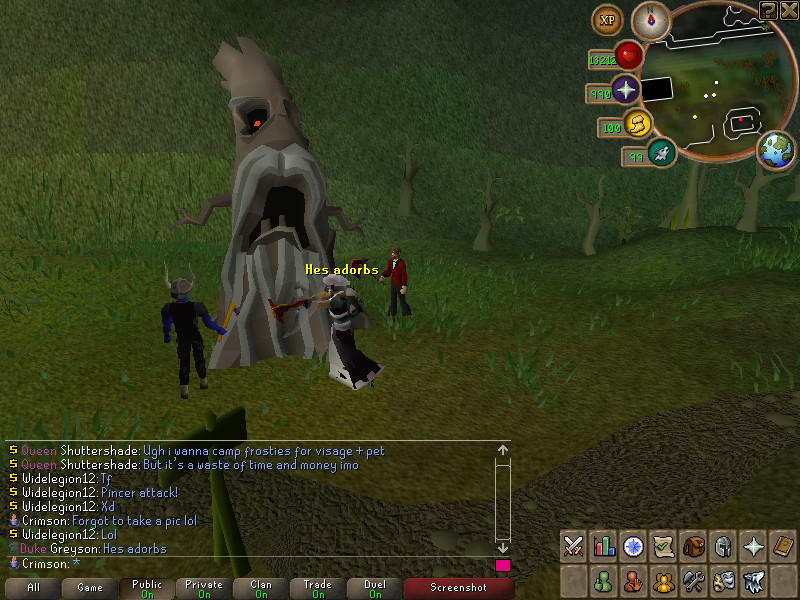 Evil tree! Chop it down for noted logs. Current location in Player panel. Adze doesn't burn paper. Only gives logs you can cut. Double vote point weekends removed - we'll offer this again in the future, thanks for participating in our test! Onyx bolt spec can overheal with Nex armors. Seers ring drop rates corrected. Serpentine helm moved to member shop 2. PMing sending messages in public fixed. 60 def requirement for dragon kiteshield. Smith 4 cannonballs for every steel bar now. Wildywyrm location in player panel. Noted version of mahogany logs. Evil tree, shooting star spawn on server (re)start. Reduced pest control departure delay. Fixed Dagganoth prime pet's name. Well of goodwill status shows in player panel. Fire runes no longer have terrible clipping in inventory.